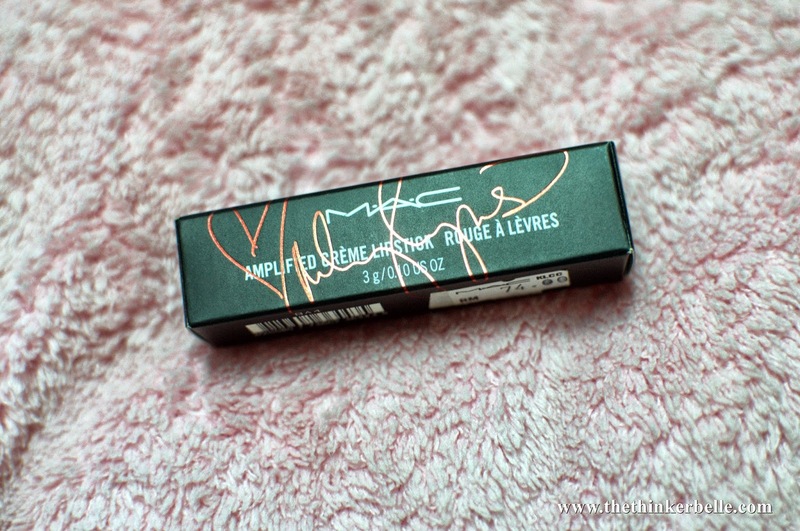 I've been checking out the shades available at M.A.C counters quite a few times already but I just can't make up my mind until last weekend when I saw the Miley Cyrus Limited Edition Lipstick in shade Viva Glam. It's in a hot pink shade which at first glance it looks very similar to Barbie Pink. Since I don't have that particular lipstick shade in my makeup stash yet, I decided to go for it. One more reason that made me bought it is the fact that "every cent of the selling price of Viva Glam Lipstick and Lip Gloss goes towards helping women, men and children living with and affected by HIV/AIDS". Yes, it's the exact statement that I saw on the counter. I mean, 100% will go to charity? Well, it definitely made my first MAC purchase even more meaningful. Click to find out more about MAC AIDS FUND. 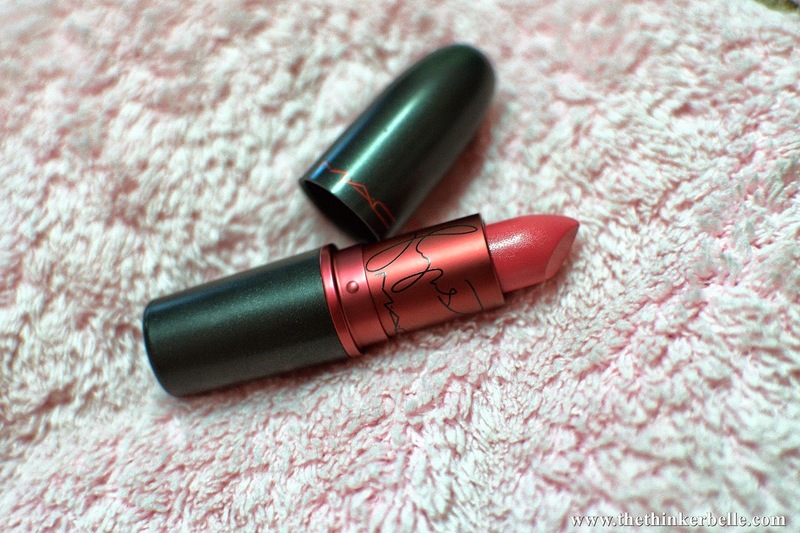 This lipstick comes in standard MAC black bullet style packaging, but added with an extra touch of Miley Cyrus signature on it's red surface. This Amplified Creme Lipstick is described as a vivid, medium-dark fuchsia pink with a satin sheen. It's very opaque with a subtle hint of blue undertone.The range also comes with a lip gloss but I didn't get them as I'm not a huge fan of lip gloss. Please note that I did edit the picture above in order to show you the correct shade that is most similar to real life as my phone camera failed to capture the correct colour tone probably due to poor lighting. 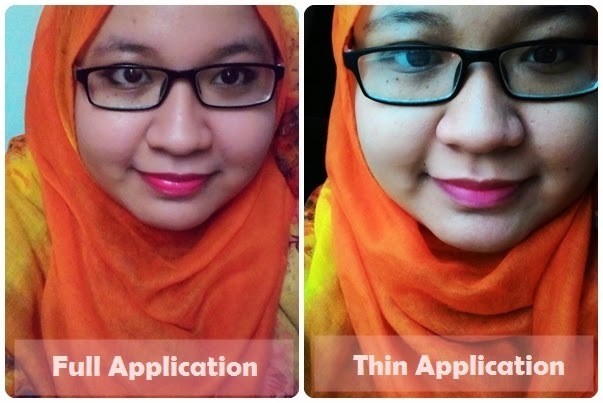 Waaa .. berseri terus bibir dia. Pinky and pinkish!! Thanks Carol <3 I was a bit pessimistic at first since I've never gotten any lipstick in that bold pink shade but it turned out really great. And yes, you're right! I think I totally have that standard now. The formulation is just so good. Like so creamy and not drying. OMG that is such a beautiful lipstick! and your page is beautiful btw. 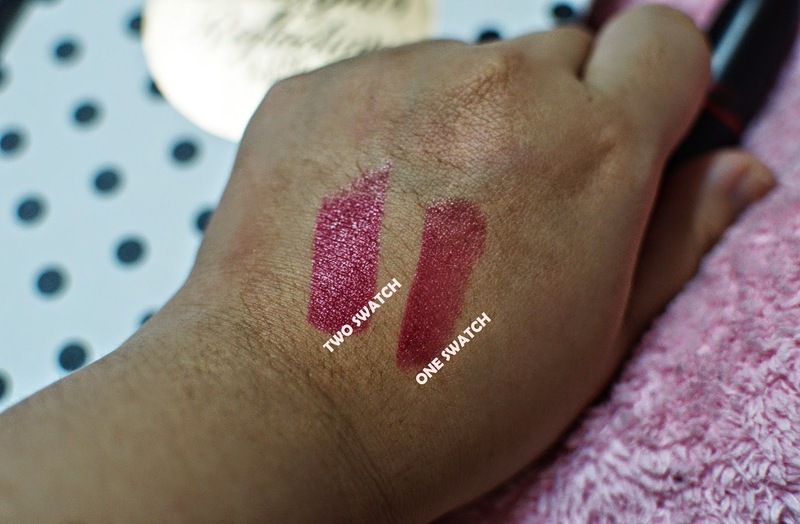 I love MAC lipsticks but hey, do check out NARS lipstick too. They are ahmazzing!